Senior Lecturer Brenda Wolodko is the Chair of Teaching and Learning in the School of Education and teaches in the areas of Early Childhood and Mathematics Education. She has been a course co-ordinator for many years. Brenda has been involved in several international projects including a UNICEF funded project working together with lecturers from Bhutan to develop a Diploma in Early Childhood Services. She has also had a Social Services and Humanities Research council insight grant, developing a partnership between Canada and Australia, looking at the noticing of mathematics occurring in early childhood play events with pre-school educators in both countries. 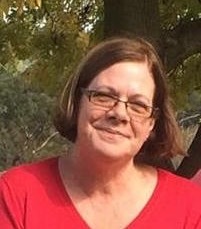 Her research publications focus on developing effective online learning spaces in adult education as well as professional development for university educators teaching online. For many years and across three countries, Brenda has placed a strong emphasis on engagement with early childhood services and primary schools, working alongside educators to better understand how to effectively support university education students for work in the field.